I have natural brows but I can't do them myself, or I'll ruin them. I usually go to a salon and have them threaded. I don't wear makeup, so I can't comment on the question. I prefer working on improving my skin rather than wearing makeup, but it would be good to know how to wear foundation, concealer, etc, for special events. 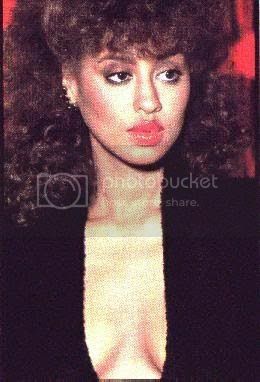 Msjaim2, you avi... Is that Phyllis Hyman??? I cried when she passed. Such talent. I forgot about this thread, but I have another related question: Where are the makeup videos for those of us OVER the age of 25? As I said earlier, most of the makeup "divas" out there are in their teens or early 20s. I cannot rock a hot pink lip (actually I don't look good in hot pink lipstick) in an office. I'm just looking for a normal, natural look for a dark skin (think my girl Angela Bassett) woman who wants to look good. I am STILL addicted to these makeup videos, but I swear some of these young ladies are using Hello Kitty colors. 20~30min for work but I do it at my desk when I get there. If im going out about 45 min. Allow ample time to work on your skin every morning. 10 minutes is good enough. I spend too much time on my morning makeup, if i don't like something I'll wipe it off and start over so yeah on an average morning 30 mins but I have spent as much as an hour for my party makeup. I make it a point to keep it under 20 minutes in the morning. If I'm going out, though, it can take me a good hour or so. Not that it has to take that long, but if I have more time to spend on it, I'm going to make sure everything is perfect. total 3 minutes for my makeup application.